It's lasting well too (unlike last week's polish) so fingers crossed it'll stay put all week. Will keep you posted! ASOS have sold out but Illamasqua have it on their own site here reduced to £15.50 for the two! Has anyone tried Glitterati yet? Would like to see some reviews of that one. Nails of the Week! Plus photos with my new camera which is very exciting!!!!!! I got the essie winter collection in the Christmas sales and loved the look of Leading Lady, a deep red with a subtle sparkle. The colour is incredible. They are mini bottles with a small brush but the colour went on well with no streakiness and dried quickly. With two coats you get a lovely deep cherry red and the glitter is quite subtle. Even though Christmas is over I still love the sparkle! I'd say this is 'grown up sparkle'. However, I think you can probably see in the photos, this polish chipped very easily which was disappointing. Less than 12 hours wear and the chips began. I'm not sure if it would be better on shorter nails, but maybe I'm just looking for excuses because I want to love it! Overall, great colour but poor quality. This will be one I wear for a night out but it definitely wouldn't last all week. Shame. The first Hot and Not of 2013! NARS Spring Collection - usually spring make-up palettes are full of pastel shades which, quite frankly, I find rather boring. 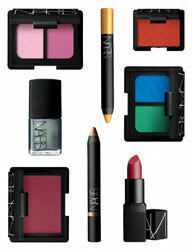 So this new collection from NARS announced this week looks amazing. Keep the bright colours coming! 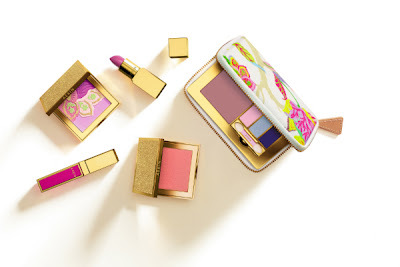 Available from 1st Feb - I've got my eye on the nail polish (obvs), lipstick and blush! Awards season - I look forward to this time of year more for the beauty than the dresses. Taylor Swift's bronzed eyes and Jennifer Lawrence's bold lip - LOVE! Body envy - the endless pics of celebs in St. Barts or other hot beach is both motivating and depressing at the same time. I'm going to Thailand in less than 3 weeks so bikini diet is all systems go! Cannabis beauty - WTF! 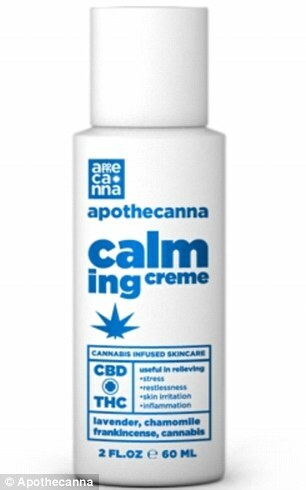 Only in America... A new beauty range has launched over there which includes cannabis so you can only buy it from legally licensed places. A publicity stunt for sure. The cold is a-coming - this is definitely Not Hot! I hate the cold, my lips get sore, my hands, face and body need constant moisturising, plus my knees hurt - yes I am an old woman! The worst thing however is the cold air making me cry! Mascara, eye liner, is all goes when my eyes can't cope with the cold. Beauty is much more difficult when it's cold! What is your Hot and Not from this week? I thought I would show you what I couldn't resist in the sales - most of this I bought on Christmas Day morning before I'd even opened my presents!! First up was the Laura Mercier Body Souffle sampler from the Harrods sale - these four little pots of amazingness are incredible! Full review to come soon but my first impressions are very very good. I also bought the Creme Brulee candle as my candle obsession continues...smells good without even lighting it! From the ASOS sale I got some dresses as well as the essie mini Winter collection with Leading Lady which I think is my favourite - a deep red with added sparkle! There is also a silver glitter, coral (great for next season I feel) and a minty green. I also couldn't resist the reduced Illamasqua nail polish duo of Viridian and Glitterati. Whilst out shopping I noticed half price OPI nail polishes and snapped up some from the Spiderman collection of the summer - I currently have Into the Night on my nails, a gorgeous indigo colour. There is also Just Spotted the Lizard, Your Web or Mine and Number One Nemesis - pics to come very soon! What did you get in the sales?